This 18thCentury "Maison de Maître" style house comprises a 7 bedroom manor house all with ensuite bathrooms, a converted pigeonnier with 2 bedrooms and plus barn conversion with three further independant ensuite bedrooms and a 2 bedroom gite. Set on 2.16 hectares of land with a small lake, heated swimming pool,tennis court, garage and 11 stables. 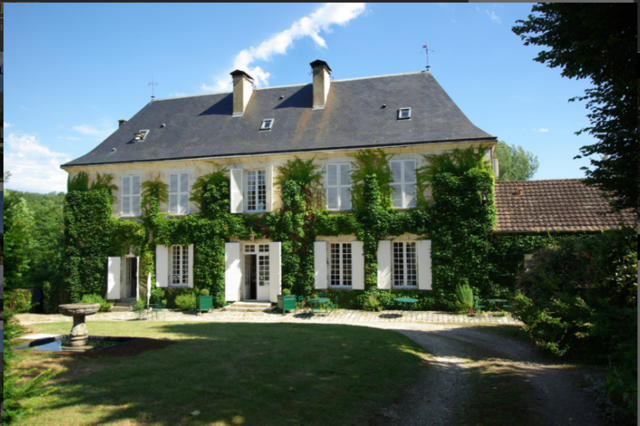 Situated 10 minutes from Bergerac airport.